From the groundbreaking storytellers at Naughty Dog, comes the genre-defining epic that revolutionized adventure storytelling, rebuilt by Bluepoint Games with the power of the PS4 system. Experience one of the most revered game series of all time as you follow the perilous journey of Nathan Drake across the globe, from humble beginnings to extraordinary discoveries. Meet an unforgettable cast of characters as Drake puts life and friendship on the line in a race against ruthless enemies to uncover unimaginable treasure. Discover the man. Uncover a legend. 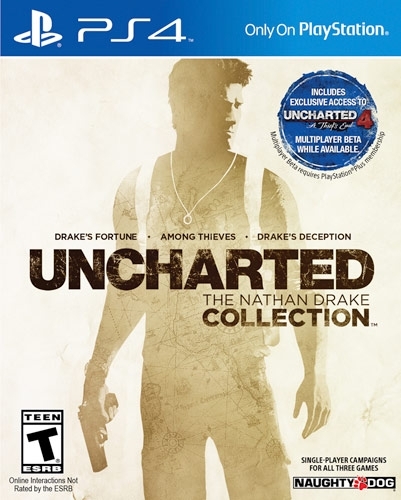 I really hope that for PS5 they make a collection of all the games with the engine of Uncharted 4 :). that would be so damn bombastically insane!!!! Well, damn. I forgot about this. It's guaranteed to hit 5m now. Very successful collection.